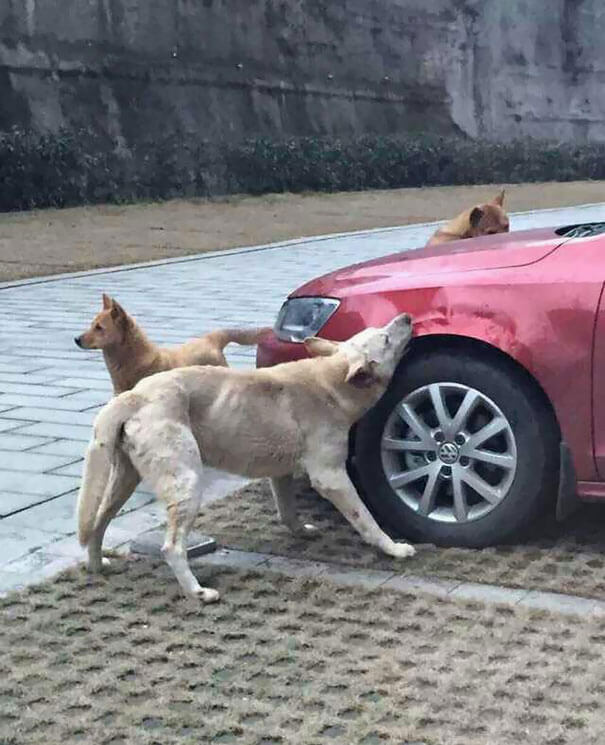 After a dog was, literally, kicked out of a parking spot by a driver, he returned with a group of his friends to exact revenge. 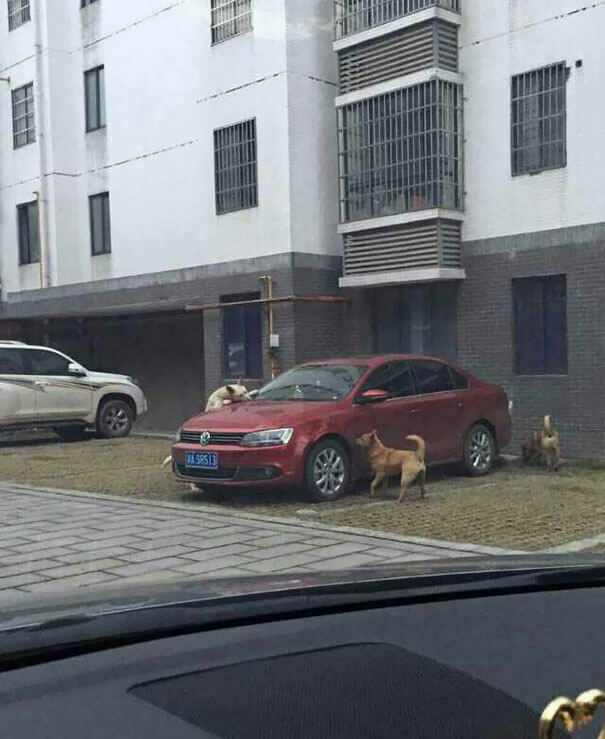 They went to town on the fenders and wipers and a neighbor caught it on camera. Dogs may not be human, but they are not emotionless! This guy is chewing in a frenzy. 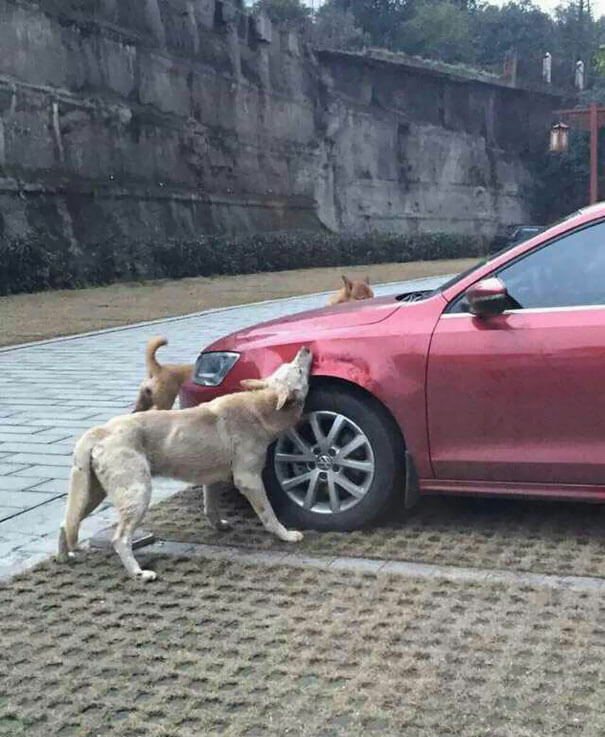 If there’s a moral to this story, it’s this: don’t kick dogs. 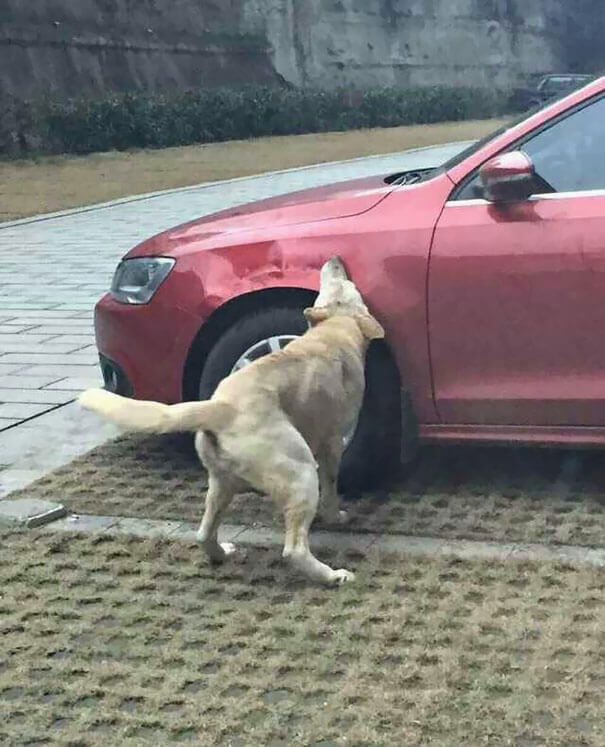 It’s not the only instance of a dog taking out his agression on someone’s car, either. 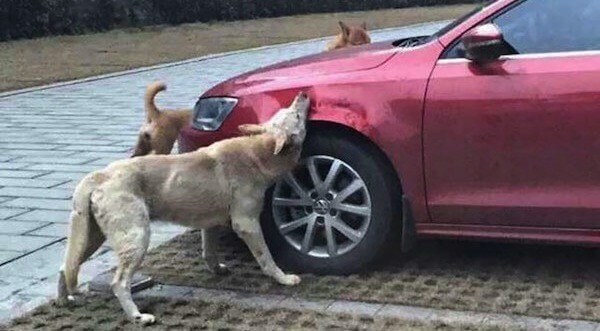 The dog in this video below goes to town on a police car’s bumper.